The cooling water flow from Raasay's exhaust has always looked a bit insipid. Then I had the unexpected overheating event mentioned in a previous post ("Raasay in Inverness"). This was repeated on a short sail I took a few weeks ago, prompting further investigation. I couldn't find anything wrong with the water supply, seacock, strainer etc., and the exhaust system seemed to be fine. Solved! 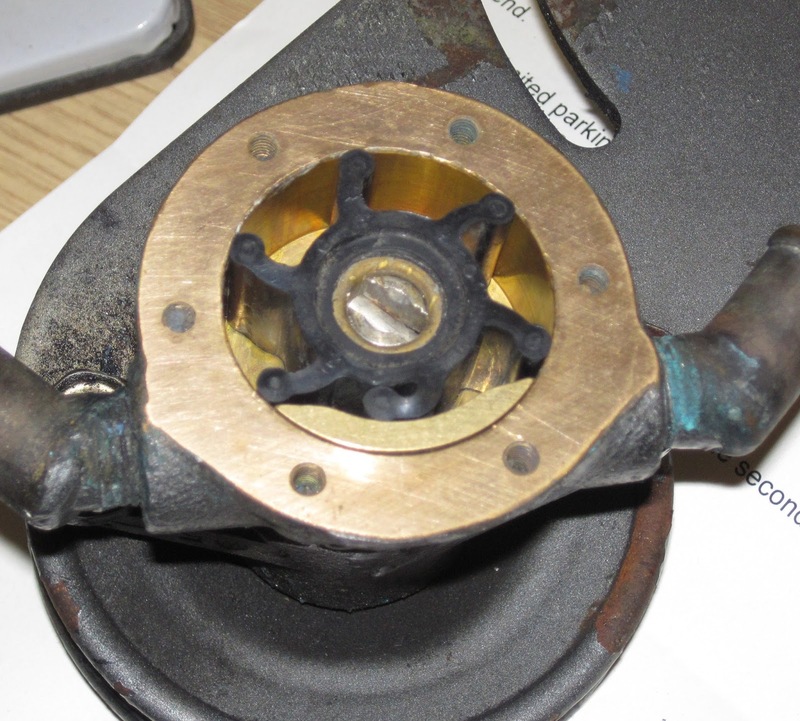 Overheating Yanmar 3GM30 due to Johnson raw water pump not priming. Now, Raasay's pump is below the waterline, so priming was not really likely to be the problem (it's full of water all the time). However, the post also explains that the pump cam can wear over time (especially in silty conditions). Here are some photos showing the old cam and the new one - they are a bit dramatic. I wonder, as well, whether the larger water channel openings in the new cam are an indication that the old one may also have been a replacement - and maybe not quite the right part. The new cam is on the left. 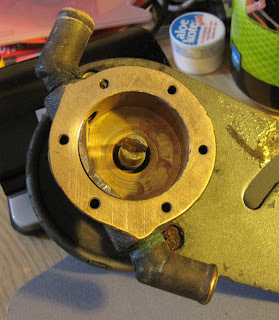 I have reassembled the pump, and will be testing it the next time I visit the boat. Watch this space.